Signal Transduction, 2e, is a thorough, well-illustrated study in cellular signaling processes. Beginning with the basics, this book shows how cells respond to external cues, hormones, growth factors, cytokines, cell surfaces, etc., and further instructs how these inputs are integrated. Instruction continues with up-to-date, inclusive coverage of intracellular calcium, nuclear receptors, tyrosine protein kinases and adaptive immunity, and targeting transduction pathways for research and medical intervention. 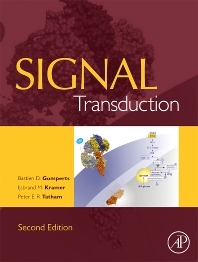 Signal Transduction, 2e, serves as an invaluable resource for advanced undergraduates, graduate researchers, and established scientists working in cell biology, pharmacology, immunology, and related fields. Why are the Signalling Pathways so Complicated? So, Who Did Discover Insulin? Towards a Different Approach in Testing Cancer Drugs? 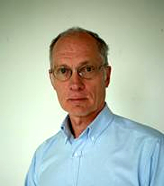 Ijsbrand Kramer is a professor at the University of Bordeaux, working in the European Institute of Chemistry and Biology (IECB). He holds a Bachelors and Masters degree in BioMedicine from the University of Utrecht, The Netherlands, with a one year research-excursion in the Department of Cell Biology at the University of Liverpool, UK. He did his Ph.D. at the University of Amsterdam, in the Central Laboratory of Blood transfusion services (Stichting Sanquin) and worked as a post-doctoral fellow at the Hubrecht Laboratory in Utrecht and at the University of Washington in Seattle. He then took a lecturer position at the Department of Pharmacology at University College London, where he taught Signal Transduction (with Bastien Gomperts and Pether Tatham) and Pharmacology. Both teaching activities have been documented in textbooks: Signal Transduction (3 editions) and Receptor Pharmacology (CRC Press/Taylor Francis Group, 3 editions). Most of his research centers on the theme of inflammation, starting with neutrophils and the NADPH oxidase, synovial fibroblasts and destruction of the joint and more recently podosomes formation and extracellular matrix destruction in vascular endothelium. He moved to the University of Bordeaux for family reasons and switched from Pharmacology to Cell Biology, with a strong contribution to an introductory course for 1st year university students. Given the important teaching load and the general low level of student engagement in higher education he started to investigate the reasons for student failure (finding out about their expectations and attitudes) and the role of images and animations in comprehension. Scientific publications, web-based multimedia resources and dramatically enhanced retention rates (from 33 to 85%) are the fruits of these activities. At the same time he organized with University College London and Universitat Pompeu Fabra, Barcelona, summer schools on Receptor and Signalling Mechanism. He has been co-director of two European Programmes (Interbio and Transbio) that aimed at enhancing industrial innovation in the biomedical sector in the South West European Region (SUDOE).